Can You Chop and Feed Flooded Corn Silage? An usually wet fall in the Midwest and areas of the Northeast are creating challenges for dairy farmers: Most notably, what to do with a flooded corn crop. Generally, Extension agronomists do not recommend chopping, storing and feeding flooded crops because they can be coated with silt and are at higher risk of clostridial fermentation. That, it turn, can lead to potentially deadly botulism toxins, say Cornell University agronomists Paul Cerosaletti and Dale Dewing. Silage that undergoes clostridial fermentation will be very wet, usually less than 30% dry matter. It can also have a distinctly rank odor and have a high pH (over 5.0), they say. 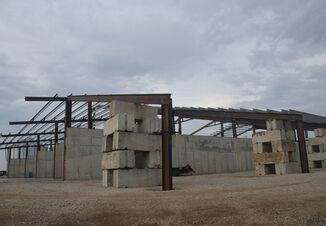 “Such silage may also be at increased risk for mycotoxin contamination due to poor fermentation, and may also contain higher levels of coliform bacteria. Soil contaminated silage may also contain listeria bacteria,” says Cerosaletti. If you harvest flooded corn, high chop it to avoid silted stalks. Harvest at the proper moisture content, and use a proven inoculant that provides at least 100,000 colony forming units per gram. “Consider using an inoculant that contains Lactobacillus buchneri in addition to another Lactobacillus bacterium, especially if the forage is drier which will reduce heating of the silage at feedout,” says Dewing. 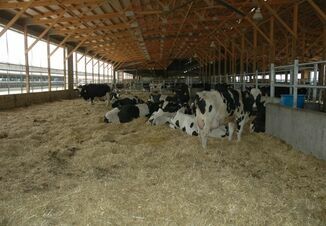 They also say silage should be sampled and fermentation tested prior to feeding. Consider a wet chemistry analysis for the mineral portion of the feed, and analyze for mycotoxins. If contaminated feeds must be used, introduce them slowly to the ration and feed at a low rate. Also consider feeding additives to bind or absorb toxins. The agronomists note that flooded corn harvested for dry grain is less risky. 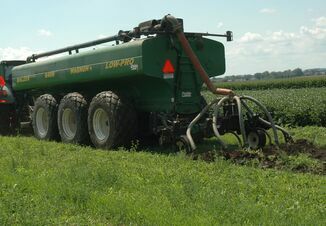 For more information on harvesting and feeding flooded forages, click here.